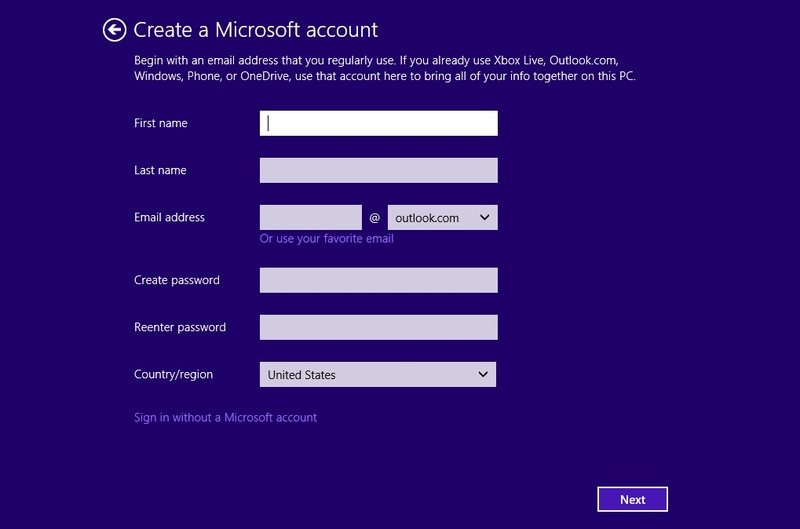 It’s helpful to have a local user account on your Windows 8 computer in case something happens to your Microsoft online account. The instructions on this page are applicable for Windows 8.1 and Windows 10. Sometimes we forget our password, or an online account gets hacked into. Usually there are online steps we can follow to try and recover our password or account. However, with Microsoft Windows, if you are logging into the computer with your Microsoft online account username and password, and the account is compromised you won’t be able to get into your computer. You’ll be locked out of all your files and programs, and you won’t be able to get online to fix the problem. With a local user account, the login will always work regardless of what’s going on with your online account. Having an extra administrative user account on the computer (as a back door) will let you gain access to the computer if another user account on the computer becomes infected with malware or for some other reason won’t permit a login. So, for this reason it’s important to have a local user account. 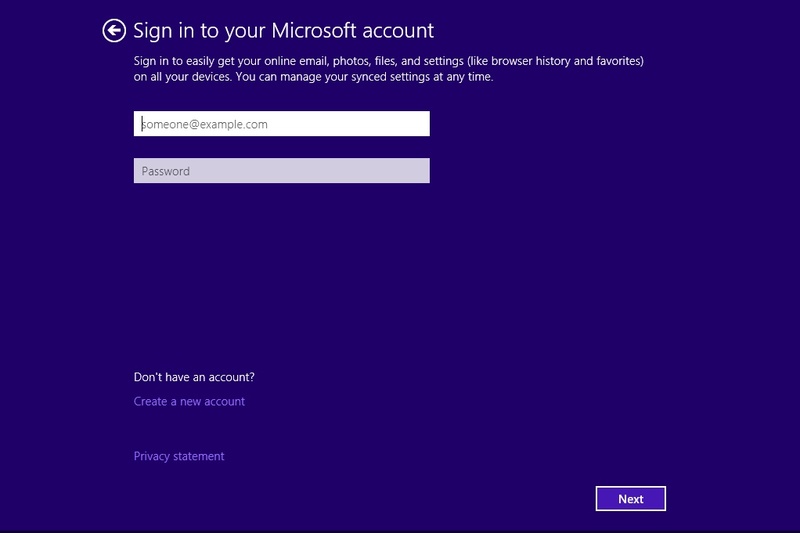 During the Windows 8 setup process, you’ll be presented with a screen like the one below that asks you to “Sign in to your Microsoft account.” Click the image below to enlarge. If you want to use a local user account instead, it won’t be clear what you should do at this point. Click the link that says, “Create a new account.” Even though you don’t want a new account, this takes you to a screen (example below) where you can choose to setup a local account. Click the image below to enlarge. You’ll be taken to a screen (shown below) where you can setup a local account. Click the image to enlarge. Provide a username, password, and password hint. 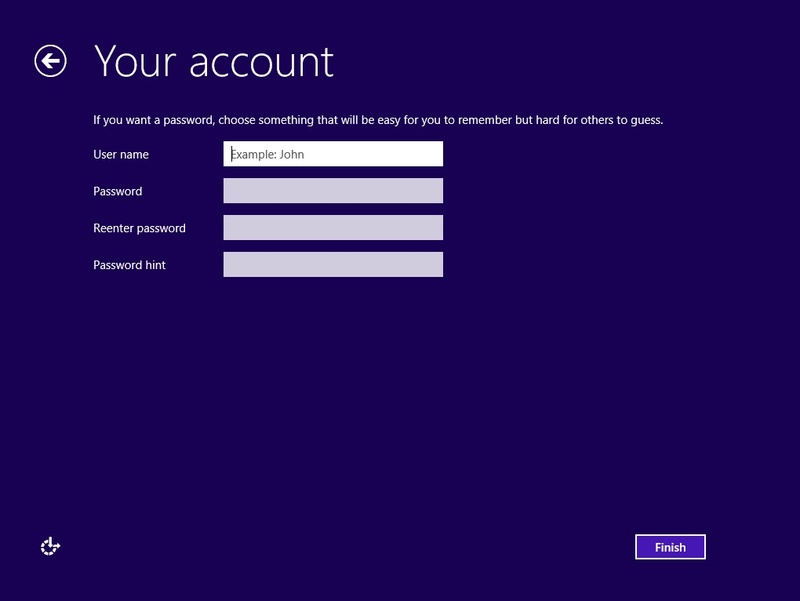 At this point, you might be wondering why Microsoft makes it difficult to setup a local user account. The reason is because they would like to get as many people as possible setting up online Microsoft user accounts. Having a local user account on a computer synchronized with the Microsoft cloud services can be very valuable in terms of accumulating information about each person and computer. This big data has aggregate value — either to advertisers, or to Microsoft for their own research and system development.